Ahead of International Day of the Girl (October 11), Disney launched a new global video series offering advice and inspiration on achieving success for the next generation of young leaders around the globe. Disney provided mentorship support for the 21 Girl Up leaders from different corners of the globe as they captured the stories of a diverse group of role models in digital shorts. Each video will be shared across Disney’s global media platforms (www.disney.com/dreambigprincess) as part of a campaign to unlock up to a $1 million donation to Girl Up, an initiative of the UN Foundation to support girls’ leadership. “There’s a line in Mary Poppins where she says anything is possible, even the impossible. 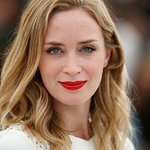 I think that really symbolizes what dreaming big is all about, the idea if you want something big enough that the universe is going to conspire to give it to you,” says Emily Blunt, Golden Globe Award-winning actress who was interviewed by Marisa Torre, age 17. Karen Walker – Designer with a global, multimillion-dollar eponymous fashion label,awarded the Companion of the New Zealand Order of Meritfor her services to fashion design in 2014. Paola Carosella -Award-winning chef and restaurateur, opened her first restaurant in São Paulo, Brazil, in 2001, has appeared as a judge on MasterChef Brazil since 2014.